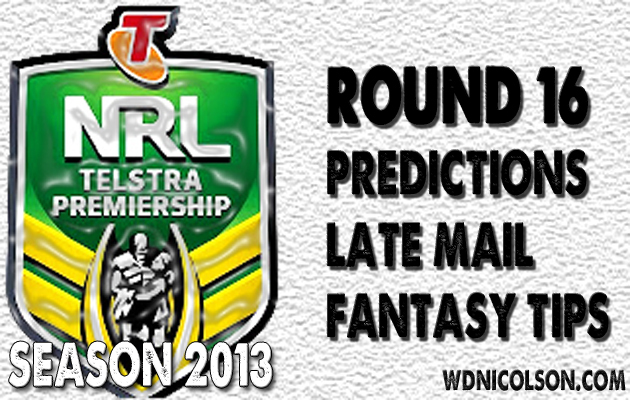 For our analysis of Tuesday team selections for Round 16 - click here. Note for FootyTab in Round 16 - the official TAB site didn't have them uploaded until Friday - so we are using the lines from another site on Thursday afternoon. Voting Allocation for Round 16 of the NRL is below. Souths please. Canberra blew a golden opportunity to put themselves in a box-seat for a playoff spot last week against the Tigers and played uninspiring 'percentage' football in the wet. The Bunnies played in just as much rain but looked far better missing more key players. You've gotta pick Souths by 7 points but if Canberra have any pride - they won't let it be a big margin. RABBITOHS: Inglis, Merritt, Te'o and McQueen should all backup, forcing Farrell, Hunt, Keary and Starling out of the 17. 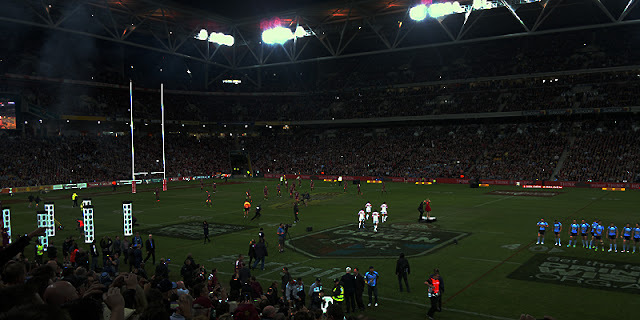 George Burgess is still suspended, so Tom Burgess might get another run here. LATE UPDATE? McQueen OUT, Lowe starts. Starling on bench - as is T Burgess. The Postman's DT/SC TIP: Reynolds and Sutton have been spun gold... while Inglis is just good enough to put his SC BE of 87 under serious threat. PS. I'm trading George Burgess in both comps... mind you, it is for Farah. RAIDERS: Papalii only played 11 minutes so he's a certainty to backup. Will be interesting to see how long it takes for Bill Tupou to usurp Sami Sauiluma on the wing - but it might not be til next week. Jarrad Kennedy will be 18th man. LATE UPDATE? Canberra are 1-17. The Postman's DT/SC TIP: None of Canberra's props are wise buys... so leave those tempting BEs alone. TIGERS: Farah should play and Woods barely got on the field so he'll also backup. Will Reddy stay in the 2nd row or will he shift to the bench and Blair move into the backrow with Buchanan starting? Tedesco is expected to play, however Sean Meaney or Reddy would replace him at fullback if out. LATE UPDATE? Reddy OUT, Murdoch-Masila IN. The Postman's DT/SC TIP: DO TRADE ROBBIE FARAH IN... or next week. But if you haven't got him - do it quickly. STORM: Smith is OUT, he'll have a rest with some stitching around the eye, so Hinchcliffe moves to 9 and Harris probably starts at 13. Cronk and Slater probably backup, while Hoffman looked tired in Game 2... so might get a rest. There is a suspicion Slater's elbow is a little tender also... Griffin or Vave will join the bench for Smith. LATE UPDATE? Garbutt OUT, Glasby, McLean IN. The Postman's DT/SC TIP: DO NOT TRADE CAMERON SMITH OUT. Yikes - I had to make a decision between these two horrible sides like a month ago... flip a coin, go with the home team (Of course, the away team won last start...). I don't know, and don't really care so pick Penrith by 4 points. PANTHERS: There's a little doubt over Jason Roberts (cheekbone) being ready so Travis Robinson might be on standby here. Otherwise - don't expect any changes. LATE UPDATE? Docker OUT, Simpkins IN. The Postman's DT/SC TIP: James Roberts is too big a risk to take a punt on even as a cheapie... just not enough job security. Give him his 2nd game to show you we are wrong first. DRAGONS: Merrin is out for a week after Tate headbutted his fist. Stockwell and Weyman probably start as a result. Will Matt Cooper finally play? If he does, Prior goes to the bench - otherwise Will Matthews comes in. Dugan and Morris looked fine at the after-match function on Wednesday night - so they'll play. The Postman's DT/SC TIP: No soup for you - 1 week! Two questions: Are the Knights a good team masquerading as a inconsistent mess? And are the Titans a decent team playing just that little bit better week in week out than all but maybe four teams in the comp? I'm not sure on either count - though the Titans impress me more often than not when I watch them, and the Knights do not. But this is at Hunter Stadium - so I lean - just - the Knights by 4 points. KNIGHTS: Boyd is the only player to backup from Game 2 and he will. Buderus is expected to play, while Costigan looks set to hold his spot on the bench after some yo-yo weeks between NSW Cup and First Grade. The Postman's DT/SC TIP: Need a POD in your DT halves? Jarrod Mullen is 373k with a BE of 26... even when Gidley returns - he is Kick Metre royalty. TITANS: Taylor misses with a sternum injury, while Myles and Bird will be assessed on Saturday. Bird or Myles will come in for Taylor, with the other probably starting off the bench. Mead is expected to play with O'Dwyer his cover in the centres. LATE UPDATE? Bird is a certainty, but Myles is a game-time decision. The Postman's DT/SC TIP: Ashley Harrison is a GREAT buy at the moment... yes he'll miss Round 18 with a bye but he's going to play 80 minutes a week for the foreseeable future (if not every week). I DO NOT want to pick the Warriors... repeat, I do not want to pick the Warriors. But I also don't like Brisbane's half/five-eighth combination... repeat, I do not like Brisbane's half/five-eighth combination. I want to see how many Broncos backup from Game 2 before confirming my initial selection... which is the Warriors by 4 points. Check back Friday arvo for my 'lock it in Eddie' pick. WARRIORS: Locke should come in at fullback and push Fisiiahi to the wing with Laumape probably missing out come gameday. The Postman's DT/SC TIP: Locke's hip is not reliable, while Fisiiahi's spot isn't secure enough as a result! Avoid both. BRONCOS: Thaiday, Gillett and Parker will backup, but Hodges will be a gametime decision. Expect Glenn or Gillett to move to the centres if Hodges does not play. The Postman's DT/SC TIP: Scott Prince is NOT a good buy, no matter what his breakeven may tell you. Want to pick the Sharks here... but also said that if the Cowboys won on the road last start I should really show some respect and take them at home next start. Sorry Cows. Thurston and Scott were sensational in Game 2 but I have little faith in the rest of the Nth Qld crew to back them up (bar a likely fired up James Tamou)... and though Paul Gallen is out for the Sharks and Luke Lewis is a bit dinged up - I will take the consistency over the Sharks (even on the road) over the 'will they or won't they be good' MO of the Cowboys this season... Sharks by 2 points. COWBOYS: Thurston, Scott and Tate should all backup - with JT looking particularly spry in Game 2. 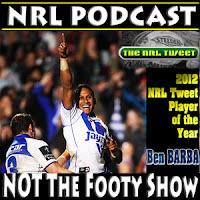 Matt Bowen is running this week but will the Cowboys risk him so quickly? Somehow it looks like Thorby might be preferred to Taumalolo on the bench. Cooper also returns from a leg injury. The Postman's DT/SC TIP: Tamou probably comes straight back in for Game 3... so leave him alone for the moment (as Cows have the bye the week after Game 3). SHARKS: No Gallen, maybe no Lewis. But Fifita will play. Also if the Sharks take Gibbs and Ross to Townsville - you know they are playing. Gordon is also expected to play after missing last start. The Postman's DT/SC TIP: All Gallen plans are off the table... and those who grabbed Fifita before are positively giddy (but disappointed for Gal). Manly have let me down in recent weeks... badly. But with James Maloney now missing - can they take advantage against a Sydney team that played superbly undermanned against the Dogs? The forward matchup is huge - because if Manly can cancel the Roosters out... I prefer DCE and Foran to Pearce and Mortimer... let me sleep on it, and I can see a change coming Friday arvo but right now - Roosters by 2 points... but that might as well be Sea Eagles by 2 points... yep, got splinters. With Brett Stewart likely to play - he tips my tip: FINAL TIP: Sea Eagles by 1 point. ROOSTERS: James Maloney's done a cheekbone in Game 2 - so he's out (and possibly for a few weeks as well), so Mortimer would move to five-eighth and get the goalkicking duties. Friend probably now plays 80 minutes, allowing the Roosters to play Liu as an extra forward on the bench. Jennings and Pearce should backup. LATE UPDATE? Seluini or Liu will play on the bench in place of the injured Maloney. The Postman's DT/SC TIP: Unless Maloney is ruled out for the rest of the season - trading in Mortimer is nothing but a very short term option. Don't do it. SEA EAGLES: DCE will backup - after making 26 tackles in 23 minutes at lock in Game 2. Watmough will also play given the game is on Monday night. But will Brett Stewart play? Looking increasingly likely. So Hiku would miss out probably. LATE UPDATE? Brett Stewart is almost certain to play, with Peta Hiku to miss out. The Postman's DT/SC TIP: Steve Matai was a fine buy a few weeks ago... but caveat emptor... he's a massive risk if you haven't got the trades to waste. What are your tips for Round 16?